The six cups electric pressure rice cooker allows food to be cooked with greater humidity and higher temperature than convectional boiling or steaming method. - 12 COOKING MODES: Glutinous rice, mixed rice, sushi rice, turbo glutinous rice, turbo mixed rice, GABA rice, black bean, nutritious rice, Nu Rung Ji, porridge, ferment bread baking, multi cook. - Prevents rice from burning and sticking as inner pot is coated with Xwall Marble, an excellent non-stick technology. - The patented technology offers a perfect sealing to preserve the flavours of the food. The inner pot is completely sealed by the pot top cover to prevent steam leakage. - Easy cleaning due to detachable inner lid. 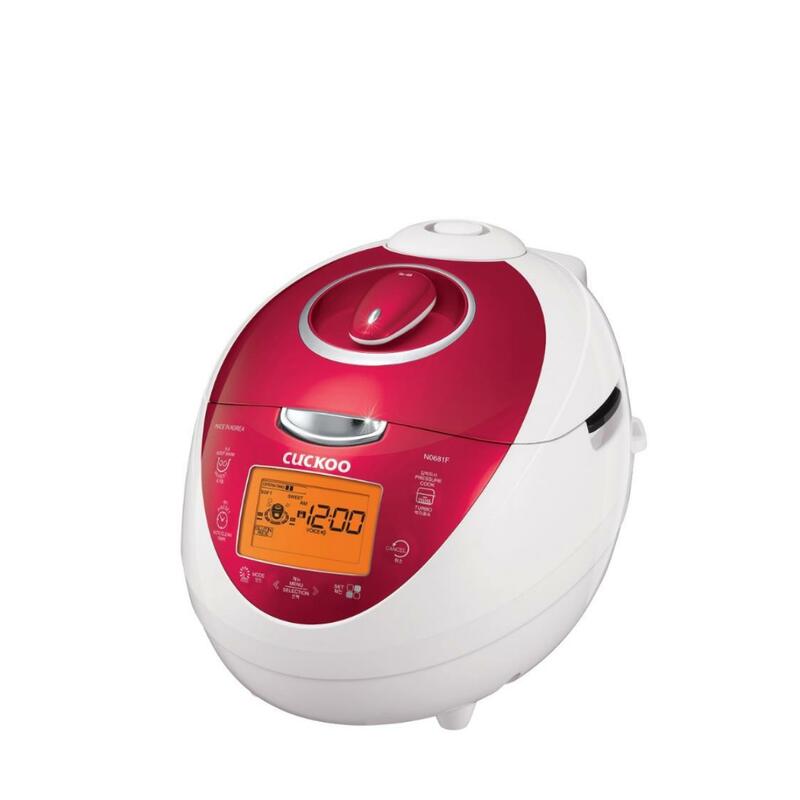 - Timer setting enables user to pre-set cooking time if desired. - The Smart Voice System repeats your selection (in English) to ensure the right selection has been made. - The patented technology allows users to select the degree of 'softness' and 'glutinosity and tastiness' to meet the users specific taste. Using the 'MY MODE' function will allow the user to customise the desired soaking and heating time. - 13 Safety devices like pressure controlling device (pressure poise), lock checking device, and soft steam cap are placed.